One of D.C.’s hottest spots plans to open in Anacostia, and its owner said the new location will bring more than economic growth to Southeast. Busboys and Poets announced a new restaurant on Martin Luther King Avenue. But it won’t be just a new food option in a food desert. A partnership between owner Andy Shallal and the nonprofit group The Far Southeast Family Strengthening Collaborative includes plans for a culinary program. 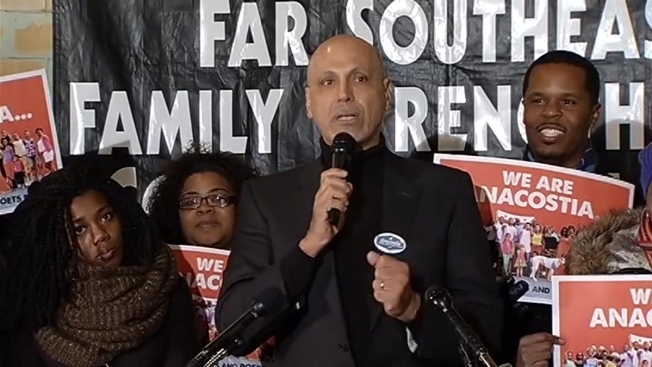 Shallal, who ran in the Democratic primary for mayor and is part of Muriel Bowser’s transition team, said today’s announcement is about human development, not just economic development. And Busboys has in the past been a catalyst to change neighborhoods. $1M Powerball Ticket Still Unclaimed in Va.